"September 11 - The New Pearl Harbor" is a 5 hour documentary that summarizes 12 years of public debate on 9/11. While aimed primarily at a general, uninformed audience, the film also contains some new findings that may be of interest to advanced researchers. This film is intended as an educational, non-profit operation, and must remain so in order to fulfill all the requirements for the usage of copyrighted material. As such, the entire film is made available online for free from day one. Any purchase of the actual DVD will be considered as a form of donation to the author, in recognition of the time spent to put together this material. Free duplication and distribution of all DVDs is encouraged. At the bottom of the page you will find more information related to this film, including the links to order the DVD, and the TRAILER. CONTACT: redazione[AT]luogocomune.net (replace [AT] with symbol). SOURCE FILES: Here you can download the "Pentagon video analysis" by digital expert P.P. Murru (in Italian). All other sources used in the film are easily retrievable online. OTHER LANGUAGES: You can access the Italian version of the film here, and the French version of the film here. PUBLIC SCREENINGS: A 3 hour version of the film is in the works. It will be made available as soon as ready to those who wish to organize a public screening. Please contact me for details. COMMENTS: Serious, constructive criticism is always welcome, from both sides of the fence. I don't have a forum in English, but you can always send your comments to my address above. The comments deemed of general interest will be published here, together with my answers. ERRORS & OMISSION: I have tried my best to acknowledge every source I have used in the film. Should I have missed someone, please let me know. Errors & omissions will be listed here as soon as they are reported. 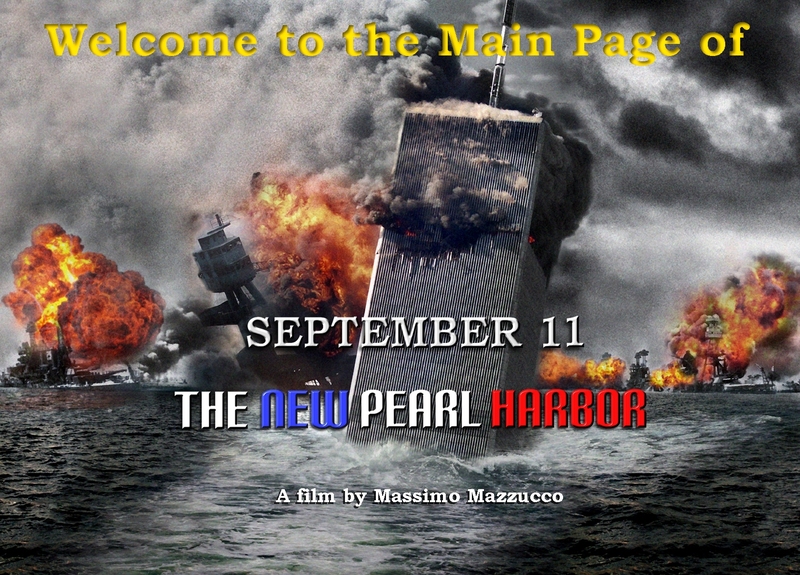 ORDER DVD - You can order the 3-DVD set of "September 11 - The New Pearl Harbor" from Amazon (US residents) or from luogocomune (rest of the world). Other films by Massimo Mazzucco are also available.